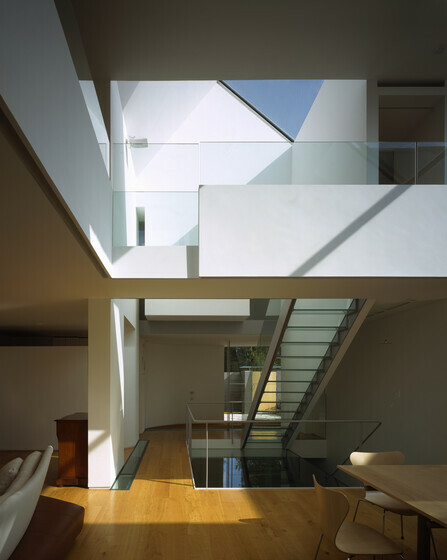 The Priory is a private house in London’s exclusive Hampstead district of unusual complexity and exceptional modernity. This private house in Central London was designed in the early 1990s for a site in Hampstead with architect Rick Mather for a private client. It is a building of great complexity and modernity. 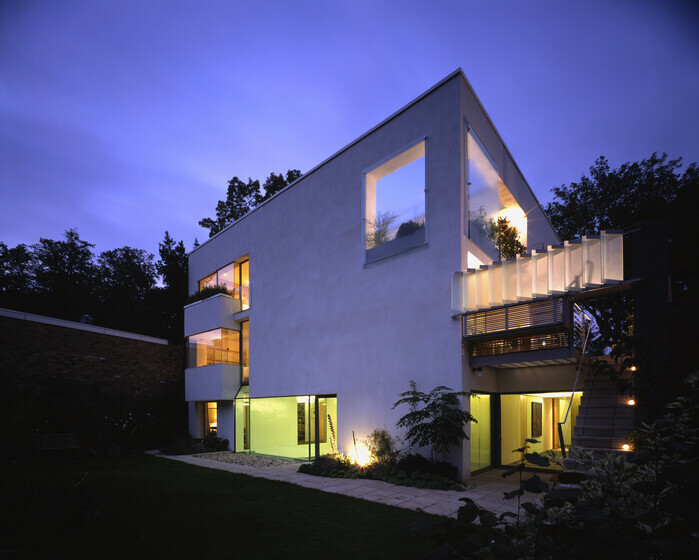 It received an RIBA award and was one of the runnersup for the Stirling Prize in 1998. The house is externally insulated and rendered to provide thermal mass on the internal wall surfaces. It is arranged to be naturally ventilated in spring and autumn and to use a whole house heat recovery ventilation system in the winter and background ventilation in the summer. Underfloor heating is used throughout and is zoned by floor to allow flexibility in use. The basement pool has a low chlorine water treatment system and a heat pump and plate recuperater based heat recovery system for air treatment. An integrated automatic pool cover restricts water evaporation when the pool is not in use to reduce energy use. What was particularly special about this design was the collaborative work that we did with the architect to develop the strategies for daylighting the walls and surfaces within the building. The result is a stunning light-filled series of interconnected spaces that were achieved without excessive solar gain or the need for comfort cooling in the house. Although a small project by today’s standards it was the beginning of a collaboration with architect Rick Mather that led to our involvement in both the Ashmolean Museum renovation and extension, and the significant new extension to the Virginia Museum of Fine Arts (VMFA) in Richmond, USA.